Book – Non-fiction. 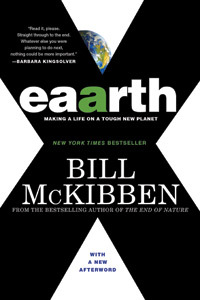 By Bill McKibben. 2011. A guide to living on and healing a fundamentally altered planet. That new planet is filled with new binds and traps. A changing world costs large sums to defend—think of the money that went to repair New Orleans, or the trillions it will take to transform our energy systems. But the endless economic growth that could underwrite such largesse depends on the stable planet we’ve managed to damage and degrade. We can’t rely on old habits any longer. ISBN: 9780312541194 | Published by St. Martin’s Griffin.